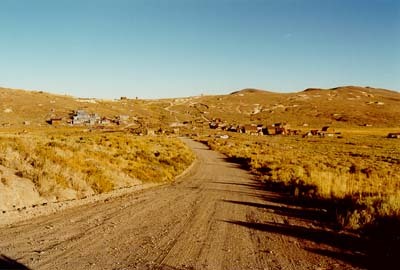 Approaching Bodie from the north. Most folks arrive via Bodie road, from the west. Aurora Canyon Road and Masonic Road from the north offer a different, less travelled, way in to the park.